Every now and then we all make a huge mess of our jobs. Something that is second nature falls into a vacuum of complacency. Ultimately you get bitten on the backside. Manchester United did this on Sunday against Arsenal, turning up to the office in dress-down clothes, while everyone else came suited-and-booted. Sunday bore witness to how a philosophy can get in the way of actually playing football, and how tactics can make a World Cup winner look lost and misplaced. Louis van Gaal’s decisions didn’t just lose United the game against Arsenal, but highlighted his natural limitations—despite being a world-class coach. Van Gaal decided the way to snuff out the Arsenal threat was to play high up the pitch. The Dutchman appears to have noted Arsenal’s predilection for not ‘getting in behind’ very often, opting instead to play the ball to feet. In response Van Gaal offered up huge areas of space to Arsenal to make his plan work. Bastian Schweinseiger has been asked to bomb up the field and close down the opposition’s defensive midfield and centre-backs in each game he has started. Michael Carrick played the role earlier in the season as well. It’s a strategy that works against Liverpool: a team who want to play the ball out of the back, but are so bad at it that the manager gets sacked. This high press is also typical on the continental; Barcelona has used it for years. Pep Guardiola’s best teams pushed high up the pitch, wining the ball in midfield, and then killed the opposition. But there is also a reason why teams do not use the high press on Barça in reaction – because vacating space enabled the Catalans to thread the ball through an eye of a needle and create chances. Sir Alex Ferguson noted this in his many European battles, and forced his teams to be more conservative against such opponents. This is also why he had great success when facing Arsenal. Van Gaal gave Wenger everything he needed to win the game in a small window of play, and as expected, United then made Arsenal look like Barcelona. In fact, the Gunners didn’t do anything extraordinary on Sunday—they simply went through the motions and played the natural Arsenal game. But there is a reason why they have failed to win the title in a decade. Teams have learned that if you sit deep, and pack the midfield with hardworking players, and use the counter attack, you will have success against them. It seems that Van Gaal didn’t do his homework or believed he could deconstruct Wenger in a less industrial manner. United set up in a conventional 4-2-3-1, but within this two players were playing “false” positions: Schweinsteiger and Wayne Rooney, who consistently swapped territory in the first half. It prompts the question: why? With the Germany captain pushing up and vacating midfield, the England captain should have dropped back to the halfway line, filling the space between Santi Cazorla and Mesut Ozil. That didn’t happened. It is incredulous to believe Van Gaal asked his side to vacate the midfield completely against a team who are one big midfield with no strikers! Schweinsteiger was clearly following orders, but it seemed the flaw in the system was Rooney and Memphis Depay’s positions. For whatever reason in those first 45 minutes United’s attack and midfield simply didn’t do its job correctly. To stretch the analogy: they turned up at the office in flip-flops and a bermuda shirt. It was clearly evident on the manager’s face as the half progressed he was shell-shocked. This led him to profess after the game it was the worst he had seen them play under his tutelage, but he should have reacted quicker than he did. The second half was much better from United, retaining 72 per cent possession after bringing on two ‘less technical’ players in Marouane Fellaini and Antonio Valencia. Rooney and Schweinsteiger were pushed into wider areas, choking the Arsenal supply line, leaving the home team with only a much more direct ball to Theo Walcott. If you are Daley Blind it is so much easier to defend when you are facing the traffic. Memphis made way after 45 minutes because he simply isn’t showing the mental application to be a United player at present. He is undoubtedly talented, but he looks like Raheem Sterling did for Liverpool last year—fully aware of the expectation, but not quite happy to do the defensive part of his job. Memphis is built like an ox and shouldn’t have issues with the physical nature of the Premier League, so it can only be presumed that the problem is in his head, with a skewed idea of what it takes to be a top professional. This isn’t the Eredivisie. Luke Shaw’s injury has forced the manager to play Ashley Young at left-back – and while Blind and Chris Smalling look solid together there is no case to move the Dutch player to full-back. But if Young is to be a success in a defensive role, Memphis needs to adjust his game fast, or Van Gaal has to drop him. The alternative is to move Matteo Darmian—who is suffering a bad spell after a fine start—to left-back, and allow Antonio Valencia—who was poor against Wolfsburg—to play at right-back. Neither of these are ideal scenarios, but the issue lies further up the pitch, and not in a defence that has – up until Sunday – conceded few goals this season. Smalling continues to look like Rio Ferdinand’s heir apparent, but it was United’s defending as a team was the issue at the Emirates. The most peculiar fact of Sunday’s defeat was the omission of Morgan Schneiderlin, who would have pressed and tackled Cazorla better than anyone else at the club. The Frenchman was bought to break up play and dominate central midfield – it is odd that Van Gaal decided to leave him on the bench and trust a core of 30-somethings instead. Van Gaal is not far away from having a very good team, but the manager has to find a plan B and C to back up his A game. The Dutchman can mix it up, as he did in the second half, but it is his failing that he didn’t start the game in this manner. Anthony Martial continues to look like a hero-in-waiting in a United shirt, but if Rooney and Memphis do not fulfil their function, Van Gaal’s team will drop more points. All is not lost and the club is not in a panic just yet; Van Gaal’s side just needs to wear a suit and tie to that next meeting. Louis van Gaal’s side is currently top of the Premier League table, and finally in the points in the Champions League. Yet if you believe much of the written press and watching public, this Manchester United side is not very good. It’s a confusing paradigm for the watching journalists as they report on the country’s form team. The Red Devils edged past Wolfsburg on Wednesday night, beating the Germans 2-1 despite a poor start and nervous finish. The highlight of the night was Juan Mata’s performance, whose irresistible play resembled that of his Chelsea days, when the Spaniard was the most feared attacking midfielder in the league. 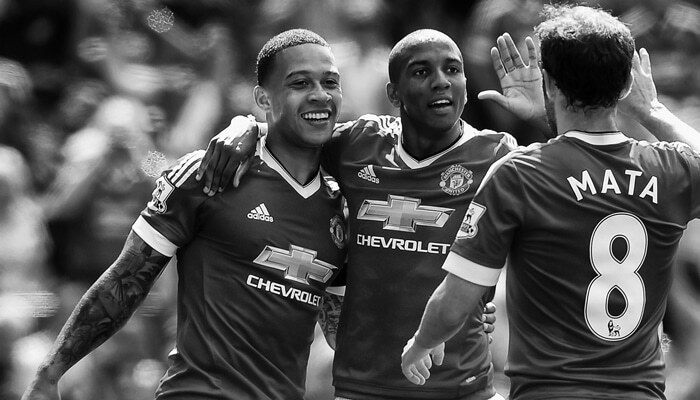 Mata has learned to play the Van Gaal way, often having to sacrifice flair for function. Under David Moyes, the diminutive Spaniard was lost in a system which wreaked of inadequacy; a toxic mess of Evertonian steel mixed with tactical ineptitude. Van Gaal demands an exceptional work rate from his players, and if you were to believe Jose Mourinho’s judgement on application, Mata would be the first one out the Old Trafford door. However, the player has made the right side attacking berth his own, popping up in a number of positions as he looks to move inside and participate. His work rate is outstanding too; only Morgan Schneiderlin covered more ground against Wolfsburg. Mata’s display against Wolfsburg demonstrated just how much potential he has in a United shirt. He is a natural number 10, but has been overlooked by three successive coaches for the central role. The question for Van Gaal now is whether to ‘promote’ Mata into that role, leveraging the player’s stellar form, or stick with what he knows. Mata has scored three goals and made three assists from his seven league matches this season and is in prime form to play behind Anthony Martial as United’s trequartista. But if this is the case, the question remains of what to do with Wayne Rooney. The focus of attention in England is always on Rooney, with the extra weight of being Van Gaal’s captain also on his shoulders. Handling pressure is the not the issue for the skipper; the quality of his game, however, is not currently at its highest. Rooney shifted from a role as United’s number nine to 10 after Martial’s purchase, with many supporters happier that the ‘boy wonder’ was moved to a deeper role. It is, however, a myth that Rooney is a modern number 10. In the same way that Peter Crouch might be considered an old school striker, Rooney is a throwback to a deep-lying attacker. He neither threads a through pass or ghosts past opponents — as all trequaristas are expected to do. Rooney’s pace is no longer a relevant part of his arsenal, and it is a cold fact that he doesn’t score many goals. It begs the question of what exactly Rooney does? In a year of transition, Rooney gave Van Gaal authority in the dressing room in a way Moyes never had. 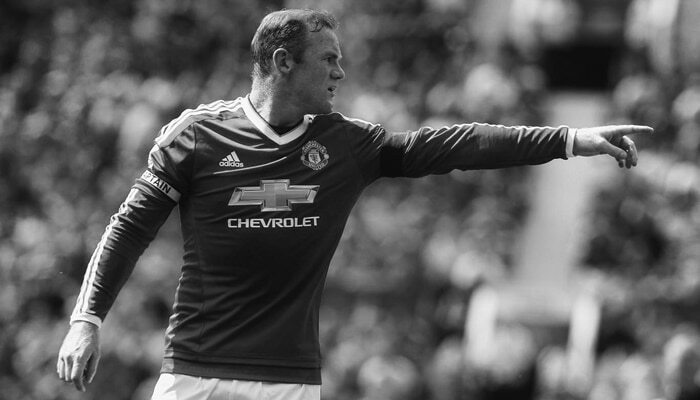 Rooney leads the Dutchman’s incarnation of United. He’s the archetypal ‘Prince of Wales, not the King of the Castle’, but is certainly not a commoner in the hierarchy of the club. Rooney’s elevated club status has given Van Gaal a focal point within his squad that many believed Robin van Persie would provide. But Van Persie’s fall from grace gave the manager only one choice, and he gambled on the White Pele as his central protagonist. That was fine for the first 12 months under the Van Gaal regime, but the club and side has evolved. There is, for example, Chris Smalling’s rebirth and Ashley Young’s reintegration into the squad as an important player. The acquisitions of Bastian Schweinsteiger and Morgan Schneiderlin have addressed the central midfield disease Rooney was asked to cure last term. This evolution has made Rooney less relevant; Mata’s form and Martial’s explosive start to life at United dictate that Van Gaal should be brave and drop his captain. Yet, the manager’s words after United’s victory over Wolfsburg point towards Wayne staying in the team, unduly untouchable. Worse still, Van Gaal refused to give Mata the plaudits he deserved after a magnificent night. It is a convoluted statement, considering Mata’s influence guaranteed United the points, but Van Gaal’s words appear to solidify Rooney’s role, by dodging the question of whether Mata should be moved to a role behind the striker. Rooney has one goal in six Premier League games, and if this is the player’s ratio over the course of the season, he will do well to break double figures. This would be in line with the player’s grand contribution of 12 league goals last season, but if Rooney is to be Van Gaal’s main attacker – pulling the strings – then United need much much more. Mata is ready for an extended run in a more central role, freeing up space for Young, who — despite being one of the Reds’ best players in the opening weeks of the campaign — has been forced to watch from the sidelines as the disappointing Memphis Depay finds his feet. Mata would help Memphis and Young as they provide the width, and with Martial’s obvious pace, the Spaniard could practice the art of the through ball to his heart’s content. The Rooney question has become a rhetorical one in 2015, but even the Englishman’s most fervent supporters admit he is not the force he once was. Meanwhile, Mata’s career has been on hold since Mourinho dumped him in favour of Oscar. It’s easy to forget the midfielder was one of the brightest talents in the world just a few years ago. 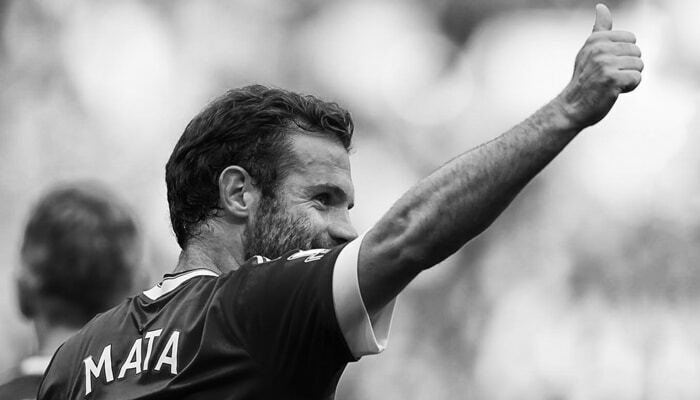 As Rooney enters his 30th year in October, Mata is in his prime, aged 27. Van Gaal may feel that sacrificing his captain is a sign of weakness, both to the squad and the British press, but the Merseysider’s displays have now sunk to such a low level, the coach must at least try to give a genuine creative talent a chance. 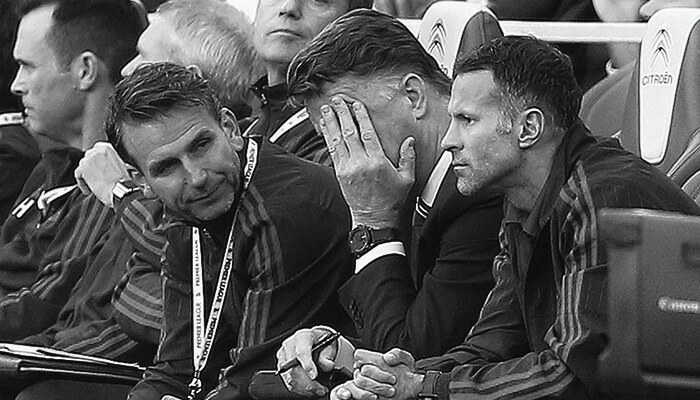 How close is Louis Van Gaal to achieving his philosophy? The Dutchman’s side dropped its first points of the campaign against Newcastle United on Saturday — and the Manchester United family wept at the heinous crime that is a goalless draw. United struggled in the final third of the pitch against a resolute Geordie defence, which was happy to park the bus and take a solitary point. The visitors almost stole the match at the death with a rare counter-attack.